"Mrs. Frola and Mr. Ponza, her Son in Law"
I was recently kindly given an advance review copy of a forthcoming anthology of short stories by diverse authors, 100 Great Short Stories edited and introduced by James Daley. Included in the anthology were two short stories by the 1934 Nobel Prize Winner, Luigi Pirandello, a writer I have not yet read. Both stories are very good and both center partially on a dead wife. I will just post briefly on the stories. I could not find them online in English. "Mrs. Frola and Mr. Ponza, her Son-in-Law" is a very funny quite intriguing story set in a small town in Italy. There is a big debate in the town over whether Mrs. Frola or her son-in-law Mr. Ponza is crazy. The plot is just so clever and well done. In Italian society when a man marries the daughter of a widow it was commonplace for the widow to live with the couple. Mr. Ponza instead maintains a seperate flat for his mother-in-law. The story turns on why he does this. Some say it is because the woman's daughter is dead and to shield her from learning this he keeps Mrs. Frola away, letting her occasionally visit and having his second wife pretend she is his dead wife. Some say Mr. Ponza does not know his wife is dead and Mrs. Frola goes along with it so Mr. Ponza will not be heartbroken. Pirandello does a way better job than I just did of unwinding the story. Just a delight. "With Other Eyes" opens with a second wife finding in her husband's chest of drawers a miniature picture of his dead first wife. At first she feels jealousy perhaps hatred for her. Then she thinks about how she died. Her husband found she had committed adultery and he coerced her into suicide. She begins to see her husband through the eyes of his first wife. This a very interesting psychologically perceptive story. 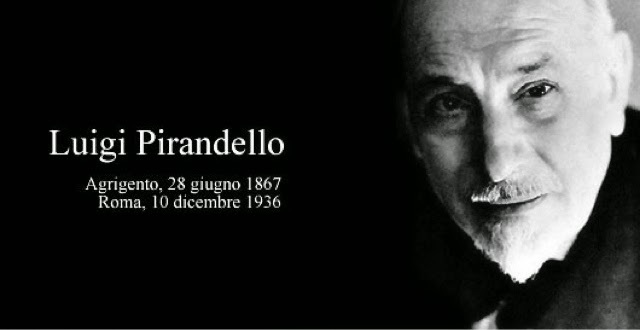 I liked both of these stories a lot and will hopefully read more Pirandello one day. 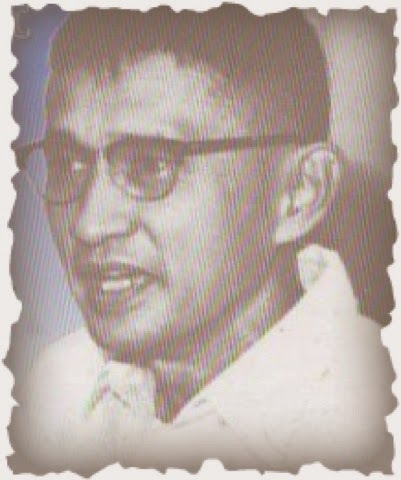 Arturo Rotoro (1907 to 1988) was a very well known medical doctor, highly respected music critic, world class authority on orchids who wrote beautiful stories about a Philippines society just a fading memory to an ever smaller number of people. The disease "Rotor Syndrome" which he isolated and first correctly described is named after him. He also played a vital role during WWII in the government in exile. 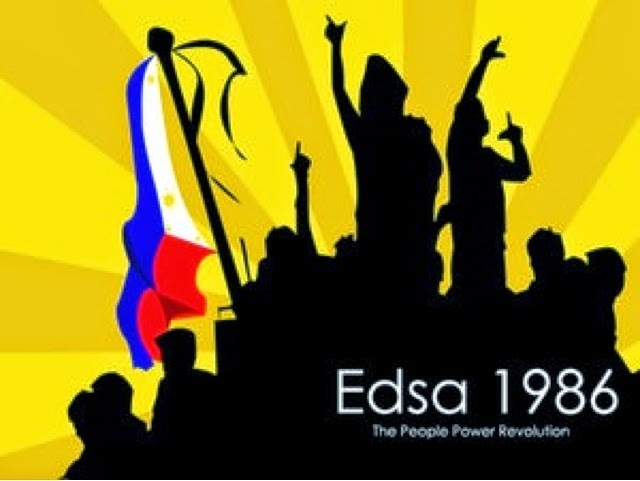 He and his wife both taught at The University of the Philippines. He continued seeing patients throughout his career. As the text begins, a group of convict laborers are returning to camp after a day of very hard work clearing the rain forest to make way for farms. It is hard for those in the great urban mega city of Manila to grasp existentially that in the time of their great grand parents much of the country was a rain forest. Rotor does a magnificent job making us feel the power of the forest, enemy and intimate friend. 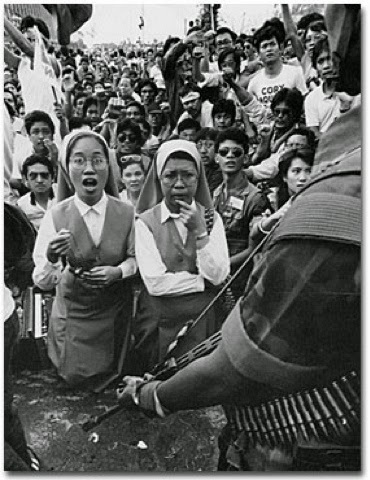 He poigantly meditates on the relative oppressiveness of being a prisoner in Manila behind bars with at least the bustle of the city near you versus isolation in the convict camp in Davao. The convicts have at most two hours of their own time. The narrator recognizes a woman he treated in his medical practice back in Manila. Her husband is at the convict camp and she moved to Davao to be near him. She is nearly overwhelmed with emotion when she recalls the kindness of Dr. Rotor. Her emotions are deepened by the cruel hand fate has dwealt her. There is little kindness in her world now. There is a very moving powerfully rendered scene at the close of "A Convict's Twilighf" which may well bring tears to many eyes. Historically this work and others by authors of this period are a precious world class cultural treasure helping keep awake the past, of a country before social media, fast foods, and mega malls took over. 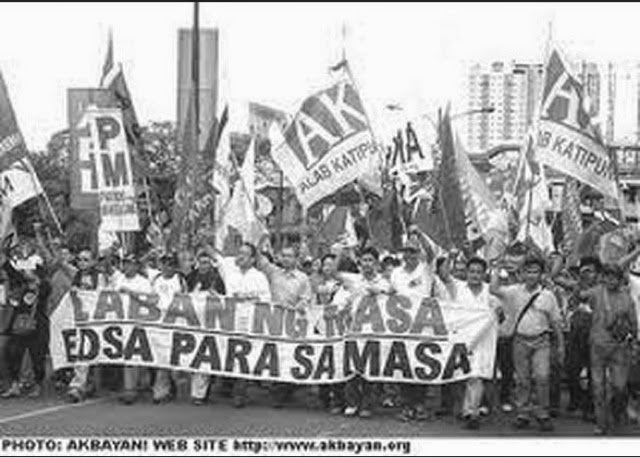 I am dedicating this post to the memory of my Father in Law who was there in 1986. I really enjoyed reading The House of Mirth inspite of it being a very sad and depressing book. The star of the book is Lilly Bart, a beautiful young woman whose parents recently died. She is left with a small income but lives largely from the largess of a very wealthy aunt. Much of the plot action centers on her matrimonial prospects and her various suiters. She cannot maintain her high society status without a wealthy husband but she cannot really find a man she wants to marry among her circle. There are great observations of the role of money in New York City society, at the opening of the 20th century. The character of Lilly Bart is very finely articulated. Maybe I did not read the novel carefully enough but I found the male characters less well done. The prose is throughout exquiste. I guess I would suggest first read Age of Innocence then The House of Mirth. What Wharton book should I next read? 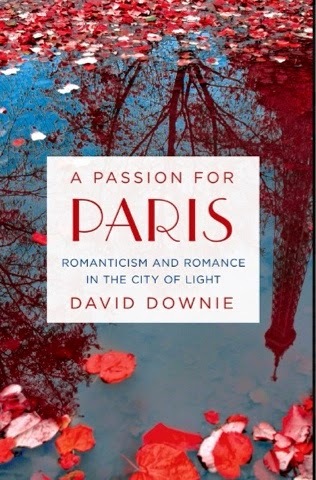 If you love the great French 19th century writers; Victor Hugo, Gustave Flaubert, George Sand, and towering above them all Honore de Balzac then reading A Passion for Paris - Romanticism and Romance in the City of Light by David Downie is perhaps the next best thing to spending three months on an intensive literary tour of Paris. I have read other "glories of Paris" books but Passion for Paris is the first that focuses on the great Romantic Era French writers. For me it was just a joy to read. With Downie as my guide I felt I was meandering through Paris of 1850 or so, from the most elite intellectual salons, restaurants with food to die for, coffee shops where Balzac got part of his legendary fifty cups a day fix, hideaways of mistresses of Victor Hugo, apartments where Baudelaire wrote The Flowers of Evil, brothels for every taste, and set in on conversations between some of the greatest writers of the world. I learned from Downie a lot about Victor Hugo and I was proud of the French for their reverence of their great writers. I did not know of his many romantic entanglements and of his very advanced social views. 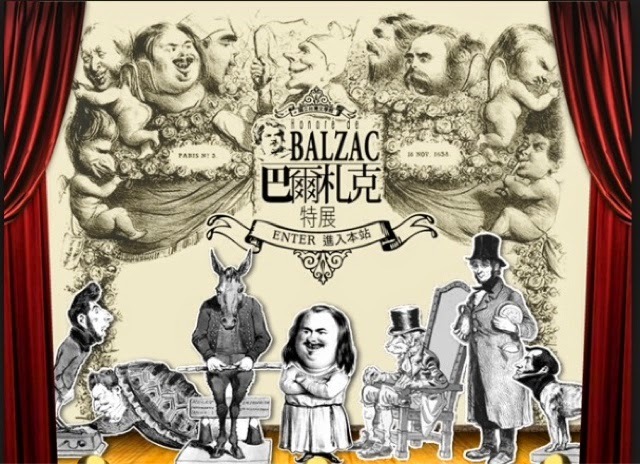 I was staggered by the incredible energy of Balzac. Downie tells his readers where they can see homes and museums of the writers. He lets us see the writers as humans living in a time and place but he in no way indulges in shallow reductionism. I gained in my understanding of George Sand and her place in the era. The book focuses on writers but it does also go into fascinating accounts of the artistic world. It was wonderful to learn how Rodin modeled and created his great sculpture of Balzac. 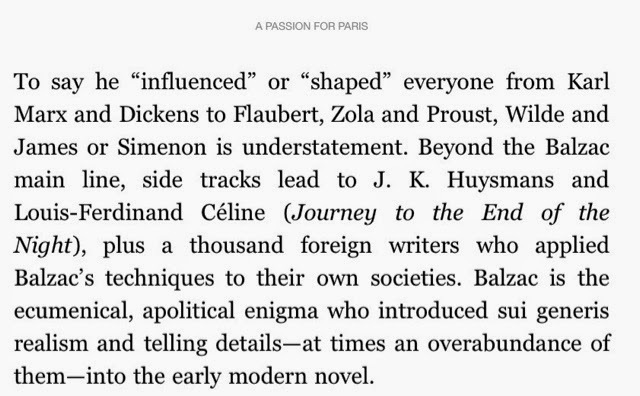 The standard of prose is high and you really get a feel for Paris in the Romantic Era from A Passion for Paris. A native San Franciscan, I've called Paris home since 1986. I'm the author of a dozen books. My travel, food and wine features have appeared worldwide. I've been contributing editor or Paris correspondent for half a dozen magazines. After a quarter century I still love living in Paris. My wife Alison and I also enjoy sharing with our readers, taking them on private tours of Paris, Rome, Burgundy and the Italian Riviera. Paris, Paris: Journey into the City of Light, with photography by Alison (Random House) is into its 10th printing. Paris City of Night is a classic thriller set in Paris; Food Wine Italian Riviera & Genoa; Rome; and Burgundy are published by The Little Bookroom, as is Quiet Corners of Rome. My Paris Timeline App, on the Apple store, traces 10,000 years of history, mystery, and lore. The Food Wine Rome app lists hundreds of restaurants and gourmet shops. Paris to the Pyrenees is my latest bestseller. A Passion for Paris: Romanticism and Romance in the City of Light comes out in spring 2015. If fate ever lands me in Paris, I hope I can go on one of David's walking tours of Paris! Ok maybe three or four tours. 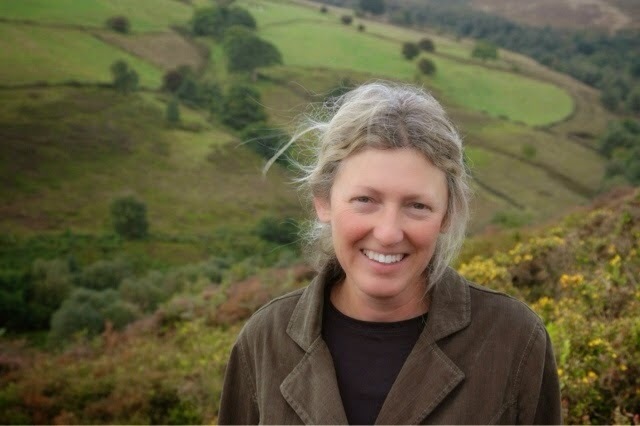 Today I am very honored to be able to publish a Question and Answer Session with Alison Lock, author of Above the Parapet, a collection of short stories. Last month I read and listed on a story from this collection, "Ashes for Roses". The story centers on a brother and sister, living together in their deceased parents English house, in their sixties. They are both very into the cultivation of roses and are nearly self sufficient from the produce they grow. They quarrel a little as natural but basically they get along. An announcement comes on the radio. A volcano has erupted not to far away and will produce dangerous fumes and huge volumes of ash. The brother and sister are both getting ready for the county flower show, planning to win. Suddenly the sister realizes the ash will destroy her roses. The story takes a very interesting and exciting turn and I will leave it for you to enjoy and ponder over. Her prose is very carefully wrought. Lock lets us see with just a few sentences into the dynamics of the family and into the long ago past. We wonder if either sibling ever married, how they wound up in their living together. Alison Lock is very much a writer of great refinement and subtle intelligence which is very much evident in her story "Ashes for Roses". I relished this story so much I read it three times. Alison Lock is a poet and writer of short fiction. Her first collection, A Slither of Air, was published as a result of winning the Indigo Dreams Poetry Collection Competition 2010. She has recently published a collection of short stories entitled, Above the Parapet. She has an MA in Literature Studies from York St John University. Can you tell us a bit about your writing routine. Do you typically set aside a certain period to write, always write in the same place, do you listen to music while you write, do you need solitude to write? I prefer to write in the mornings. I had a long period when I got up in the middle of the night to write – it helped to fill the hours of insomnia, but I realised that ultimately it is detrimental to health. It might work if the rest of the world has a flexible routine – but life's not like that.I need solitude. "in the name of a humanism hypocritically turned champion of the reader’s rights. Classic criticism has never paid any attention to the reader; for it, the writer is the only person in literature. We are now beginning to let ourselves be fooled no longer by the arrogant antiphrastical recriminations of good society in favour of the very thing it sets aside, ignores, smothers, or destroys; we know that to give writing its future, it is necessary to overthrow the myth: the birth of the reader must be at the cost of the death of the Author." I can understand why Barthes argues that the writing and the author are unrelated. The Classic way of interpretation is only one way of finding meaning and it is bound to be limiting. Of course, there is inevitably a connection: the views and background of the author are bound to infuse the writing, but I believe that the result – and by that I mean, the text and universally accepted interpretation – must be a combination of writer/text/reader. When I have given readings of my stories or poetry and people come to talk to me afterwards, I realise that their interpretation of the work comes directly from their life experience and that they relate most strongly to the ideas and stories that they recognise as being like theirs – these are the ones that resonate with them. Sometimes, they areminor parts – single lines, words, rather than whole stories, or, pieces that linger longerand simply leave an impression of the whole. As a writer, how do you feel when people Interpret your work, attribute meaning to it?, see things in it you never thought about? I am always surprised, sometimes delighted, and occasionally dismayed when people mistake my original meaning, but then it is not surprising as my writing tends to linger on the ethereal, the half light – that is what I am interested in – the thoughts that seep in when we are not looking. I know people who have read my stories have mistaken my sense of humour for something darker and that makes me want to explain. When I chose my stories for the collection, I carefully ordered them so as to form a slow fall and then a rise towards the end – what I did not take into account was that a reader often picks out a story at random rather than read from beginning to end. Inevitably this affects the interpretation. What is an ideal reader? A person who reads a book from cover to cover, perhaps? Or one who gives it a 5 star review? My favourite review on Amazon is from the writer, Iain Pattison. He writes re: Above the Parapet, that it 'keeps the reader tense and unsure in a world that seems to shimmer between reality and ominous fantasy'. He gives it 4 stars and I really appreciate his comments. It seems more and more writers have MAs in creative writing, some PhDs. Education is a great thing but is there a negative side to this, will it produce in few years a literary culture where lacking this degree will make it hard to get published?. Is it homogenizing writing styles? Will the day of the amateur writer who comes from nowhere and changes everything be over because of this? My MA in Literature Studies/Creative Writing gave me a chance to focus on my writing in an environment that was both stimulating and supportive. I studied part-time over two years in order to fit it into the rest of my life. I really felt that having spent many years bringing up children and working that I needed to engage with the world beyond my own. Taking this course was a credible means of achieving my aim. Nevertheless, I can see that with so many people studying an art form that is ultimately assessed under academic criterion that it could lead to a homogenization of creative writing. But writers, like all artists, have to live in the real world, and find the ways that work best for them. How important is seeing different parts of the world to you in terms of stimulating your creativity? As we were saying before, it is inevitable that our writing emerges from our beliefs and views and the ways in which we see the world. Many of our notions of the world are now seen through the TV news and other forms of media. I love travelling and experiencing the world for myself – nothing can replace that. Please tell us something about your recent publications and/or works in progress. I have two books published: a collection of poetry A Slither of Air (2011), and a short story collection Above the Parapet (2013). I have a forthcoming poetry collection, Beyond Wings (2015 Indigo Dreams Publishing); and a fantasy novella Maysun and the Wingfish (Mother's Milk Books 2015). Who are some of your favourite contemporary short story writers, poets or novelists? What classic writers do you find your self drawn to reread. If a neophyte writer in your primary focus were to ask you who to read, what might you suggest? Poets: Mary Oliver, Kathleen Jamie, David Morley, Moniza Alvi, Fleur Adcock, WS Merwin.​Really, there are too many to name..
Frank O'Connor in The Lonely Voice: A Study of the Short Story said short stories seem to be about marginalized people, the lonely, those with with little voice in society. Do you think he is on to something illuminating about the format? Why is there so much loneliness in the short story? It is true that because of the nature and the length of a short story it is often very focused, intense, atmospheric, and from a single character's viewpoint: of an event, an interaction, or a relationship with self or another character. A short story is often static in that it can bebased in a precise geographic setting whether relating to the real world or a fantasy creation. Of course, this is not always the case: they can be a travelogue in time or/and place i.e. the stories of Henry James, or Guy de Maupassant – where author is intermediary and stories describe the exotic. I am most drawn to stories where I feel that the author is in the shoes and body of the character and respects them. The characters created by the Australian writer, Cate Kennedy, are like this. It is as if we are invited to empathise with them, to understand their human frailty: they are people who might be similar or different from ourselves. This is the delight of writing – exploring new territory, taking off from the familiar. I sometimes wonder why such a disproportionate amount of the regarded as great literature of the world is written in the colder temperate zones rather than in the tropics. I cannot imagine The Brothers Karamazov being written on a tropical island, for example. I think extremes of any kind push the mind a little bit further and that applies to climate too, but it is not the case that it is only in the colder temperate zones that 'great' literature is produced. There are great African writers: Chimamanda Ngozi Adichie, Chinua Achebe come to mind; South American writers: Gabriel García Márquez, Pablo Neruda – for example. Many cultures are permeated with references to seemingly supernatural creatures, some kind of malevolent. Do you feel any sense of these entities in the world you look out on in your daily life or in your writings? Do you sense a continuity between the natural and supernatural worlds. Is a belief in the supernatural just escapism and wishful thinking? It is definitely the case that I like to explore the borders between different worlds in my writing, and my more fantastical stories include ghosts and time travellers. I like the idea of a continuum between the supernatural and what we generally accept as reality – probably a result of my Catholic upbringing – I can remember as a child, quite vividly feeling a sense of 'other'. I was never afraid, just comforted and curious. If you found out that a favourite writer of yours was grossly bigoted would you lose interest in them? Yes. I think personal politics is important. I would feel I could no longer trust them. When you write, do you picture an audience or do you just write? I just write – if I thought about an audience I would stop writing – I would feel far too exposed to reveal myself at the point of creating. Assuming this applies to you, how do you get past creative "dry spells", periods when you have a hard time coming up with ideas or when things seem futile? I find there is far too much to write about and too little time to do it – that's how I am feelingat the moment. I guess it might change. What are the last three novels you read? If you could give your eighteen year old self one suggestion, what would it be? I have always enjoyed writing; poems and stories and sometimes I filled daily journals for several months at a time. But I never thought I could take writing seriously as a career. I would say to my eighteen year old self: 'Call yourself 'a writer' – even if it is only a whispered voice in the back of your mind.' That way I would be giving myself permission to take the time to write. If you could live anywhere in the past for six months, or forever, and be rich and safe, where would you pick and why? Somewhere very different, sometime long ago – Ancient Egypt – where women had better status than other ancient societies. Are you open to e mail, Facebook or Twitter, contact with your readers or do you fear stalkers or don't want to be bothered? A. tablets or laptops or smart phones? B. E readers or traditional books? C. American Fast Food- love it, hate it, or once and a while? ​I prefer fresh, whole foods, any day! E. best city to inspire a writer- Paris, London, Dublin, or? ​Vienna – only because I was there last summer at the 13th Conference on the Short​Story in English. I loved it. 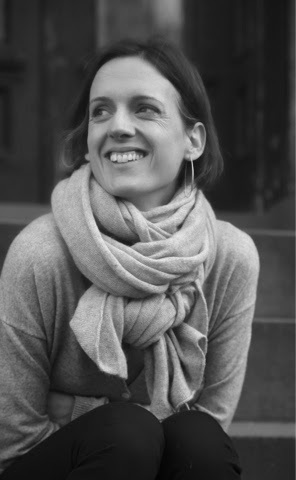 Thank you for this interview, Mel – The Reading Life site is an inspiration! My great thanks to Alison Lock for taking the time to provide us with such interesting and insightful responses. Many book bloggers I follow could read the full Comedy in under three months. I am near the midpoint. I do suggest reading the full work as a tremendously worthwhile reading life experience. It will provide a panoramic look at French society from 1830 to 1845 or so and a great grounding in the history of world literature. "We can have as many Balzacs as we like; what we cannot really want is the entire absence of any sort of Balzac, and Barthes, in spite of his polemical flourishes, is not asking us to want it. If there is no imputable direction to a text, no chance of an encounter with a mind other than ours, we cannot read, we can only make private mental doodles on the script in front of us. Even when we assume a mind in the text, we can of course read wrongly; we can get lost. But if there is no imaginable mind in question, no set of needs or specified context, we can't even read wrongly. Or: we might be able to read in a very modest, functional sense, to unscramble a basic meaning, but not be able to act on it or take the meaning any further." In the 19th century novelists of the highest status often used a device now looked down upon, the story within a story where one character tells a story, often to people he barely knows about a past experience in the teller's life. Often this might be on a train or in tavern or at a party and the story might take hours. Literary critics and theorists pretty much look down on this narrative method and it is seen by many as kind of a lazy way to narrate a story. I think if we ponder a bit Michael Wood's remark on the many voices of Balzac and the difficulty of saying precisely who is speaking in Honerine we can see that this in the hands of a master liike Balzac is not a simple minded device. The story is narrated by a French counsel officer serving in an Italian town on the Mederatanian Sea. He is married to the daughter of the only wealthy man in the city. Balzac generalizes about Italian women versus French, hardly politically correct but a lot of fun to read now. In fact he starts the work by telling us the English love to travel because England is such a dreary place! I laughed so much over this. hoping the man will take him on as a protege, the uncle getting on in years. The account of his involvement with the count is very interesting and well done. Balzac of course describes well the palatial home in which the mysterious,of course, count lives. The young man lives there and eventually becomes like a son to the count. The count, in his late thirties keeps totally to himself but the man senses something troubles him. Then the first narrator begins to relay the life story of the count. Of course it involves love gone wrong. From this we branch into a tale narrated by the wife of the count, who left him long ago for another man. Now the story gets complicated. I don't want to spoil it but we go into another tale of obsessive love and high drama that does stretch credibility a trifle. What we really have in terms of the rhetoric of fiction is one man assuming the identities of several other persons while telling us an indirect narrative. It is if one voice is split into four or five, there is really only one central character and we see the various tales through his eyes. We don't try to assume we are encountering a mind in this narrative directing it all we are not really reading it. There is no reason to assume the various narrators are fully perceptive. 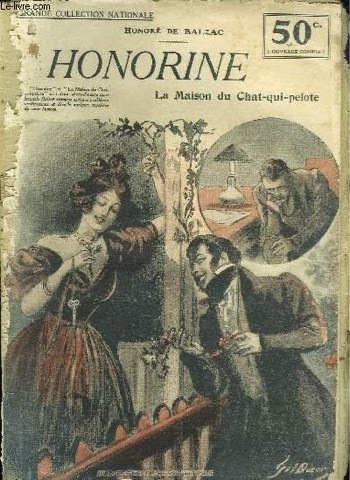 Honorine is half first rate Balzac, half formula Balzac which is enough to make it a very good work. I have now begun reading Beatrice. 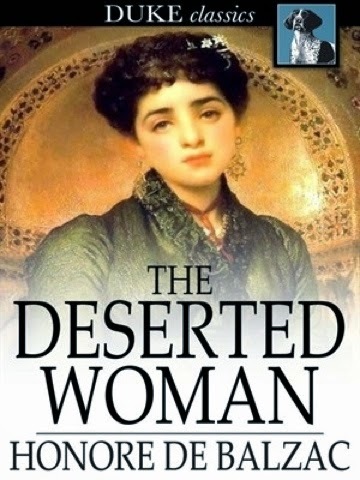 "The Deserted Woman", read in a translation by Ellen Marriage, is the story of young Baron Gaston de Nuel who at age 23 has been sent from Paris to provincial Normandy to recover his health. We never learn exactly what was wrong with him. The first third of this story is devoted to characterizing all the types of major and minor important figures who make up the gentry of Normandy. It is really well done, very visual, very convincing and at places just hilarious. Then the story goes into a formula romance. Our young Baron meets and falls in total love at first sight with a mysterious wealthy noble woman ten years older than him. Balzac is great at describing women and he is on fire here. There seems to be little slow getting to know you gradually falling in love stories in Balzac (or else where in the period literature). The baron basically only knows what she looks like and from thus he decides he wants to spend his life with her. She, however, is the deserted wife of an aristocrat who left her rich but unable to ever marry again or even in the milieu have a scandal free relationship. Compressing a lot, they move to a villa on Lake Geneva and live there for nine years then something tragic happens that destroys their lives. I enjoyed reading this story a lot and I am sure in 1832 it was considered quite daring. "La Grenadiere", translated by Ellen Marriage, is set in Tours,near where Balzac was born, on a small paradise like estate in the midst of a vineyard. The first ten pages of the thirty pages or is devoted to a description of the estate, the small house, and the countryside. The owners rent it out,often to affluent English seeking a long get away. It is now rented to a French woman and her two young sons. She fits the sterotype of the Madonna like heroine. One of the characteristics of the 19th century novel, far from just Balzac, is that beautiful women are good, the ugly evil. When a beautiful woman is out of this mold her beauty only magnifies her evil. Her sons are little cherubs from Heaven and her life is totally devoted to them. There is a hidden sadness sometimes glimpsed briefly in her eyes, linked to the father of the boys. Some very tragic happens, designed to wring tears out of the most cynical Parisian. This story perfectly fits Auerbach's account of the weaker work of Balzac, see my last post for more details. As I read on in Balzac's Comedie Humaine I began, I think, not just to see the incredible imaginative power of Balzac but to timidly begin to see weaknesses in his work. I detected in his treatment of the rich that he does not do near the job of Proust or even Zola in creating characters and depicting their worlds. The rich are just stock characters, each could be substituted for the other. There seemed an almost comic but not intended to be somfeel to some of his stories and novels about the trials and often infidelities of the upper elements of society. I am currently reading The House of Mirth by Edith Wharton and her depiction of people like Balzac's rich is much more intricate. I wanted to see what literary historians of the highest order thought of Balzac, seeking confirmation of my nascent theories or disabuse. I decided to read Eric Auerbach's chapter on Stendhal, Balzac, and Flaubert in his majestic work Mimesis. 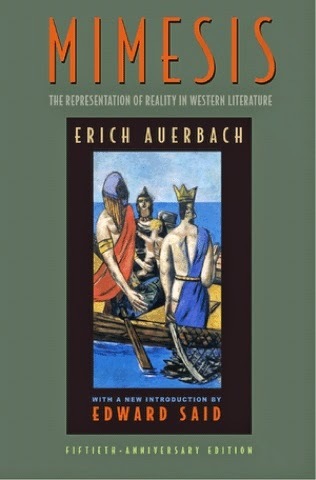 Auerbach must, by me at least, be read slowly and carefully, often several times; his sheer cultural depth is overwhelming. As I read his elegantly articulated thoughts on Balzac, I felt vindicated in my opinions on the weak side of Balzac, his treatment of the upper classes often falls into formalistic melodrama unintentionally self-parodying. He sees his rich characters as fully determined by their environments, types not individuals. I don't have a count but I am guessing at least half of the 91 works in The Comedie Humaine are accurately critiqued by Auerbach. In reading the short stories, not the great novels of Stendhal this is even more evident. If you look at the consensus best of Balzac lists, most all deal with the poor or middle class. Balzac wrote very fast and he wrote to sell and he used formulas a lot. The Comedie Humaine is a great, maybe the greatest, large scale literary mountain range, one needs, I think, to read through it to appreciate the really incredible artistry of Balzac at his best and to begin to grasp his great cultural influence. Every work has something wonderful, even if it is just great descriptions of people, houses, and furniture. And "ah the Food"! I urge all those into and sometimes perplexed by Balzac to ponder slowly what Auerbach says in the remarks I quoted. "Balzac plunges his heroes far more deeply into time conditioned dependency; he thereby loses the standards and limits which had earlier been felt as tragic, and he does not yet possess the objective seriousness toward modern reality which later developed. He bombastically takes every entanglement as tragic, every urge as a great passion; he is always ready to declare every person in misfortune a hero or a saint; if it is a woman he compares her to an angel or the Madonna....it was in conformity with his emotional, fiery, and uncritical temperment, as well as with the romantic way of life, to sense hidden demonic forces everywhere and to exaggerate to the point of melodrama"
"To him every milieu becomes a moral and physical atmosphere which impregnates the landscape, the dwelling, furniture, implements, clothing, physique, character, surroundings, ideas, activities, and fates of man, and at the same time the general historical situation reappears as a total atmosphere which envelopes all its several milieux. It is worth noting that he did his best and most truthfully for the circle of the middle and lower Parisian bourgeois and for the provinces; while his representation of high society is often melodramatic, false, and even unintentionally comic. He is not free from melodramatic exaggeration elsewhere; but whereas in the middle and lower spheres this only occasionally impairs the truthfulness of the whole, he is unable to create the true atmosphere of the higher spheres--including those of the intellect" from Mimesis by Eric Auerbach. "The Messenger", a very brief story, is very much a trials and tribulations of the rich story. Two affluent Parisians are on the same stage coach. They fall into conversation and discover they are in love with the same woman. The resolution of the story is kind of vague. 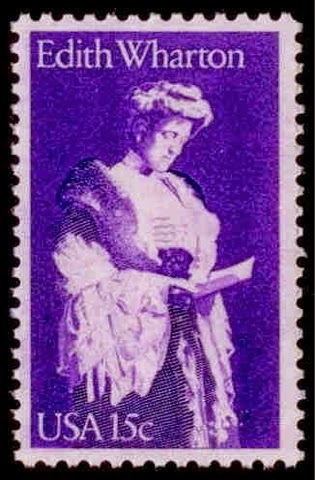 Note on above image. I like this pic a lot, I think it might be for a Japanese webpage or translation of Balzac but I am not sure. I invite responses to Auerbach's thoughts on Balzac. 41 novels, 25 novellas, 25 short stories. 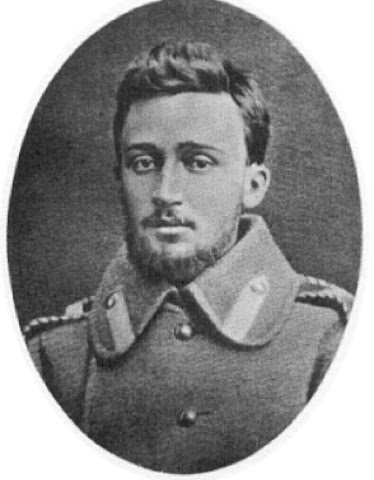 A few days ago I posted on a new to me late Czarist short story writer, Fyodor Sologub (1863 to 1927) who lived and died in Saint Petersburg. Yesterday I discovered another late Czarist writer who also lived and died in Saint Petersburg, Vseveld Garshin (1855 to 1888). I wonder if they ever met? Garshin fought in the Russian-Turkish War, 1877. He entered as a private, was wounded and subsequently commissioned as an officer. He left the army, returning home to Saint Petersburg, to pursue his literary interests. He wrote nothing but short stories, twenty two in all. His stories focus on the down trodden of the era. (There is a link to a collection of his short stories translated by Captain Roland Smith, done in 1917 at the bottom of this post. I could find no data on Roland Smith so if you have any information please leave a post. His translation of "The Signal" is very elegant. The central character in "The Signal" served in the front lines in the Russo- Turkish War. One of his duties was to deliver meals and hot tea to the officers, which often involved running through enemy fire. There is volumes of class history in the very poigant passage in which the officers praise him for bringing them tea under fire, with no thought to the fact he is following orders that might get him killed. Should he have been killed bringing them tea, one doubts if the officers would have much cared. After the war he and his wife suffer great hardship, he cannot find work. Like Gorky, Garshin focuses on displaced serfs, people without a fixed place in society. One day he encounters one of his former officers, now an important person with the railroad. He offers the man a good job as a track walker and signal man for the railroad. His job is to walk ten miles or so of track on a regular basis making sure all in order and to signal the locomotive engineer if there are issues. He gets a house and he brings his wife there also. They are content. He slowly gets acquainted with the next over track man. This man is not happy at all, he feels they are underpaid and abused. One day when the chief inspector comes to the area this man complains to him and the inspector strikes him with his whip on his face. Outraged, he tells his friend he will go to the railroad head office to file a complaint, inspite of being told just to endure it for the sake of the job. A few days later the central character while making his rounds sees someone tampering with the track. It is the other signal man, he is loosing a bolt which will cause a coming passenger train to jump the track and go cantepaulting into a ravine, likely killing everyone on board. Horrified the man tries to signal the train to stop but he realizes he has no red flag. He removes his white shirt, makes a deep cut in his arm and covers as he can the shirt in his blood and franticallty tries to signal the train to stop. He knows if the train wrecks he could be executed or sent to Siberia for life. I will leave the close untold. I found "The Signal" fit to stand with the great Russian short stories. In just a few pages we learn a lot about the life of a late Czarist railroad track man and about the world in which he struggled to survive. I have read descriptions of his other stories and i will I am pretty sure I shall be posting more on Vsevold Garshin. He killed himself by jumping out of his fifth floor apartment. I first read Middlemarch October of last year. 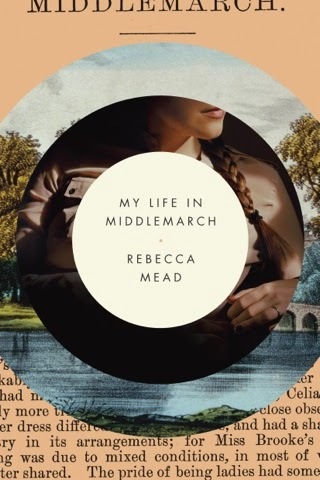 My Life in Middlemarch by Rebecca Mead is a wonderful companion to this magnificent work. 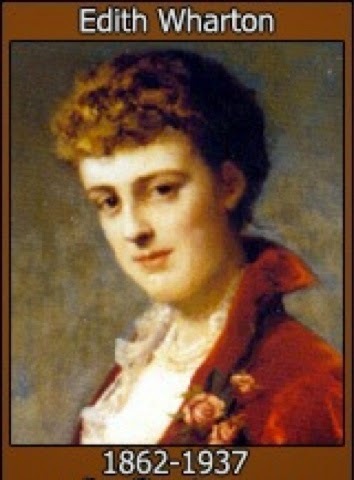 Virginia Woolf famously said that Middlemarch "was one of the few novels written for grown-up people". Mead fascinatingly and insightfully explains what Woolf mean by using the term "grown-up" instead of adults. I had never before pondered this matter and I found Mead's conjectures very convincing. In her very important essay "Notes on Camp" Middlemarch is the only novel Susan Sontag places in the category of "High Art". One of the basic dictums of the reading life is that reading a great work of literature is a different experience as one advances in life. I saw this so clearly when I recently reread King Lear for the first time since I got out of school decades ago. Now I have three adult daughters of my own and I cannot help but relate the play to my relationships with them. Everyone really into reading, Mead tells us, has one book that they hold to through their lives, reading it differently as the years go by. (Mine would be Gravity's Rainbow and if I had read it younger, maybe Proust's In Search of Lost Time.) Middlemarch is Mead's book. She kind of tells her own life through the ways her experience of Middlemarch changed as she read it over as she advanced from her late teenage years, through her first romance, jobs, education. She also tells us a lot about the life of George Eliot, her romances, her work, and above all how she became George Eliot. Mead lets us see the very deep,wisdom of Middlemarch. Middlemarch is a book about marriage, among much else but it is not just about the matrimonial chase of Austin's world, it is about marriage in various stages. There is a lot to be learned about the social and business side of being a famous writer in Mead's book. She takes us inside George Eliot's homes and walks the English countryside with us while talking about what was happening in her life during her various readings of Middlemarch. She compares her own life, her relationships to those of the author and lets us see how the two cross illuminate. My Life in Middlemarch is truly a wonderful reading life book helping us see how great literature can expand our inner world and see deeper into life. It also shows how reading a wonderful book is just a great experience how it can be a lifetime of revererbitation. My next Gerorge Eliot work will be her often called semi autobiographical work The Mill on the Floss and I look forward to benifiting from the many insights Mead offers in this early work. Mead talks a lot about her husband in this book and somehow I think my having read his book on Stefan Zweig, Impossible Exile - Stefan Zweig at the End of the World by George Prochnik , made this part of Mead's book more meaningful for me.